Titan Trade Affiliates - Get the Best Affiliate Commissions! Flexible and generous commission plans. Interested in high commissions? We’ve got you covered. We give you the freedom to choose the commission plan that’s right for you. Our commission structure is flexible, designed the way to cater to your affiliate needs, and highly profitable, rewarding you based on the revenue of your referred traders. Special affiliate promotions. All Titan Trade affiliates are entitled to join our monthly affiliate promotions. Get a chance to win special bonuses and other perks which can increase your revenue substantially no matter which commission plan you choose. Highly-effective multilingual marketing tools. When you become an affiliate you’ll have access to our creative library of marketing tools. Our library is full of banners, images, designed e-mails, videos, manuals, landing pages and more. Not only that, as an affiliate you can customize the tools so you can monitor how effective the tool is on your site. This flexibility is one of the reasons why our affiliate program is so successful, for we have the diversity that allows our affiliates to focus their campaign on a theme that’s right for their site. Real-time statistics. Check your progress through our state-of-the-art online reporting system that’s available 24/7. Our real-time statistics report provides you with detailed information of what you’ve done over the past few days, weeks or months. Support all the way. When you become an affiliate, you will be paired with a professional affiliate manager who will assist you in creating a marketing plan that suits your site and your needs. Your affiliate manager can help create a campaign that’s geared towards your site’s theme. No matter how big or small your site or network might be, our team of experts will help you devise an effective campaign that brings traders to Titan Trade while enhancing your site at the same time. Rapid and reliable payment. 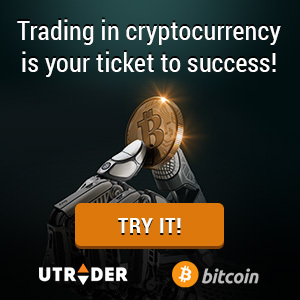 You don’t have to wait for a long time to receive your payouts, we see to it that all payouts are processed as quickly as possible so that you receive your profits as fast as possible. All you need is a traffic source. To become a Titan Trade affiliate you need to have traffic source of any type. This can be a website, a Facebook page, a network, e-mail list, among others. You can become an affiliate if you have any medium to communicate with your traffic. 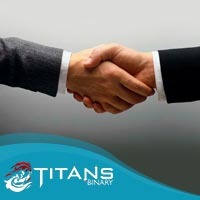 As you can see, we offer our Titan Trade affiliates the most competitive deals in the market. With great commission plans, advanced marketing adverts, 24/7 support and real-time analysis to track your progress, there’s no reason to look further. Click here to join our affiliate program today!